For the ball itself, the organizing committee consisted of female Kosmos Club members, but men were invited to the ball and members of the Union League Club served as ushers. There's some obvious overlap in surnames between committee members and ushers -- I'd guess that the women of the Kosmos Club got the use of the Union League ballroom because their husbands or other male relatives were members, and they promptly recruited their husbands/brothers/sons to help with the ball as well as dance. The ball itself was "costume", and was opened by a series of fancy dances. First, a "jester" and a "Jack of Hearts" were to perform a "folly dance" Much more interestingly, this was to be followed by a "Gailliarde" [sic] performed by ten young women, in couples, wearing sixteenth-century costume, or at least their idea of it: "in brocades and satin, with court trains, Elizabethan lace, ruffs, and puffed sleeves from the shoulder to the wrist." An example of the 1890s idea of Elizabethan dress, taken from Ardern Holt's Fancy Dresses Described, Sixth Edition, (London, 1896) may be seen at left (click to enlarge). As you can see, their idea of puffed sleeves may have owed as much to the aesthetics of the late nineteenth century as to those of the late sixteenth! This performance would be followed by a "Sarabande" of twelve male/female couples, with the gentlemen in "knee breeches, with puffed trunks, silk hose, and buckled slippers, beaded, and puffed doublets, with cape hanging from both shoulders, and a full Spanish ruff of lace." The individual costume colors are given in the writeup and lean heavily toward pastels; the word "pale" appears a dozen or so times. During the "Sarabande", two young girls dressed as "pages", in white satin and gauze, were to enter with the "Sarabande step" and distribute favors. Deux couples se placent l'un en face de l'autre, comme dans le quadrille français, les cavaliers donnant la main à leur dame. 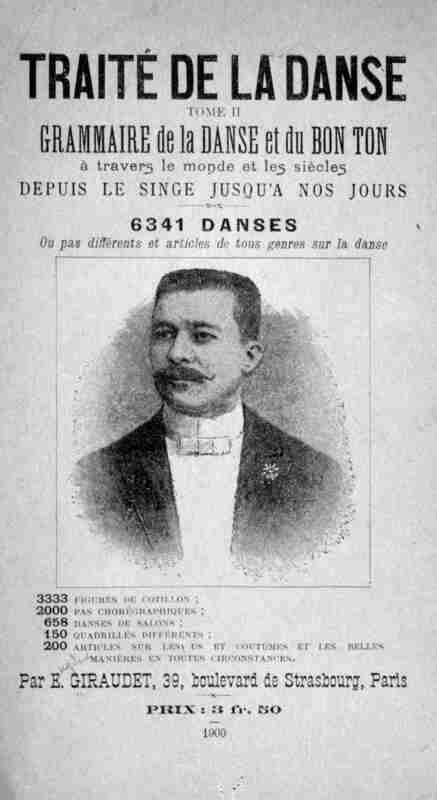 1º Promenade en pas marchés en sautant et en élevant les épaules gaillardement; assemblé de chaque pied, ensuite glissade, jeté et assemblé. Ces pas se font en allant en avant, en arrière, à droite et à gauche, et en se croisant, pour changer de places; salut et révérence après chaque motif. Cette danse finit comme elle commence, par une promenade. 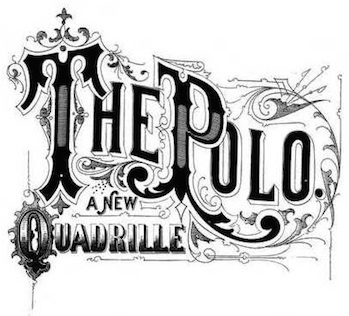 Two couples stand facing one another, as in the French quadrille, the gentlemen giving their hands to their ladies. First, promenade with walking steps, jumping and elevating the shoulders jauntily; assemblé of each foot, then glissade, jeté and assemblé. These steps are performed going forward, backward, to the right and left, and crossing, for changing places; salut and révérence after each motif. This dance ends as it begins, with a promenade. After the fancy dances and the distribution of valentine programmes by "St. Valentine", supper was to be served at around 11:00, followed by general dancing "for the remainder of the evening." Since the general dancing can't have started before midnight at the earliest (assuming a fairly rushed supper), that's a rather interesting definition of "evening"! 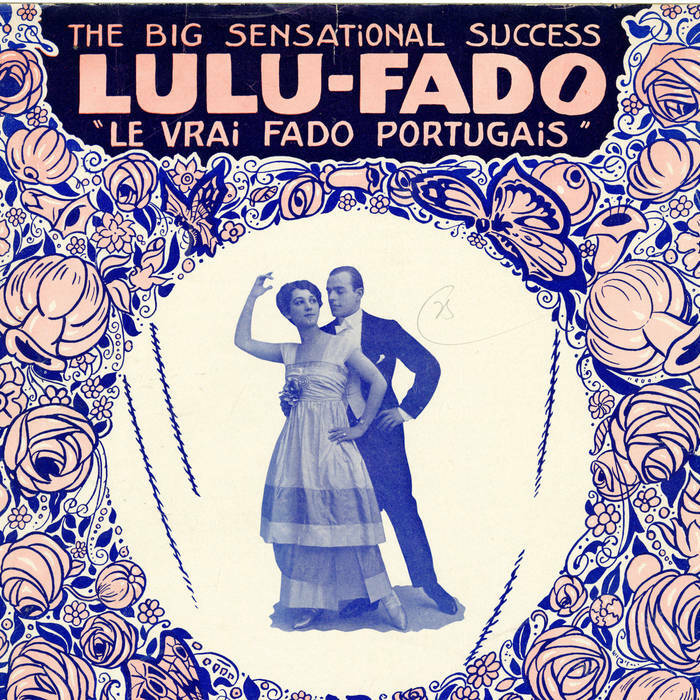 As noted above, no program for the general dancing was published, but it would likely have been a typical late nineteenth-century mix of couple dances (waltz, schottische, polka, galop, etc.) 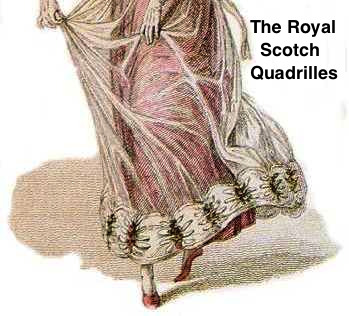 and quadrilles, perhaps with cotillions (dance games) to end the evening. Since The New York Times' archive access policy varies, a full transcription of the original column segment appears below. -- The Kosmos Club's Ball.--The Kosmos Club of Brooklyn, an organization of young women seeking instruction in political and domestic government, will give a costume dance in the assembly room of the Union League Club, on Bedford Avenue, on St. Valentine's Eve. Miss Katharine Blanke has charge of the Committee of Arrangements. The dances will be introduced by a "folly dance," executed by a "jester" and the "Jack of Hearts," in costume. St. Valentine will be present and will distribute valentine programmes to the invited guests. This ceremony will be followed by the beautiful "Gailliarde," a sixteenth century dance that is rarely seen on account of its difficult steps and figures. It is a most artistic spectacle, and is to be danced by ten young women in couples. The dance will be led by Miss Norma Hanly and Miss Wooden. The other participants are Miss Grace Colvin, Miss Ruth Hutchinson, Miss Margaret Hutchinson, Miss Grace Tuttle, Miss Josephine Bassett, Miss Lena Lyler, Mrs. C. Z. Southard, and Mrs Charles R. Hobbs. The costumes will be of the sixteenth century, in brocades and satin, with court trains, Elizabethan lace, ruffs, and puffed sleeves from the shoulder to the wrist. This dance will be followed by the fascinating "Sarabande," a dance of Spanish origin and full of dash and graceful action, which will be danced by twenty-four couples. The costumes of the women will be the same as in "La Gailliarde." The men are to wear knee breeches, with puffed trunks, silk hose, and buckled slippers, beaded, and puffed doublets, with cape hanging from both shoulders, and a full Spanish ruff of lace. The dancers and their costumes are as follows: Mrs. Elias B. Hobbs, in pale yellow silk and brocade; Charles B. Hobbs, in white satin, with gilt trimmings; Mrs. C. Z. Southard, in pink and white satin; Frank Wilson, in pale-green satin; Miss Hanly, in white satin; H. C. Wilson, in pale pink satin; Miss Colvin, in pale blue and rose satin; Mr. Vanderveer, in lavender; Miss Hutchinson, in pink and yellow brocade; G. S. Southard, in pale blue satin; Miss M. Hutchinson, in white brocade; H. Witney, in lavender satin; Miss Bassett, in pink striped silk, with lavender flowers; William C. Breed, in pale green satin; Miss Wooden, in blue and white satin; A. Southard, in pale yellow satin; Miss Tuttle, in pale green and pink brocade; Louis King, in lavender satin; Miss Adams, in blue and white striped satin; G. Putnam, in pale pink satin; Miss Hardley, in pink and white striped satin; Mr. Holman, in pale blue satin; Miss Tyler, in pale green and white striped satin; Mr. Thorne, in pale blue satin. During the execution of this dance two little girls as pages, in white satin and gauze, will enter with the beautiful "Sarabande" step, and distribute favors to the dancers. A supper will follow the fancy dances, about 11 o'clock, after which general dancing will be enjoyed for the remainder of the evening. The invitations to the ball are limited in number. The members of the Union League Club who will assist in the entertainment as ushers are Horace Morse, Edward B. Hobbs, Charles G. Bennett, Andrew Peters, Jackson Wallace, Charles S. Whitney, Frank D. Tuttle, William Webster, William H. Lyon, Jr., and Frederic C. Trustlorr. The Reception Committee is made up as follows: Mrs. James L. Trustlorr, Chairman; Mrs. Edward R. Betts, Mrs. Edward H. Hobbs, Mrs. Horace Morse, Mrs. William H. Lyon, Mrs. John Hutchinson, Miss Both [sic] Hendricksen, Mrs. John Thallon, Mrs. James Scrimgeour, Mrs. H. L. Wardwell, Mrs. J. W. Cromwell, and Mrs. Charles S. Whitney.